Athlete’s Foot treatments for one of the most common conditions on the skin of the foot that a Podiatrist in Beaver sees every day. From Teenage athletes to runners to our aged veterans athletes foot is umbiquitous! Athletes foot is a fungal infection of the skin of the foot. It is EVERYWHERE! And it loves the warm dark moist sneakers that are worn all day. Athlete’s foot between toesThere are two common types of foot fungal infections; Acute athletes foot and Chronic athletes foot. Acute athletes foot has red little pimples or blisters and are red , itchy or burning. this is found between toes, on the bottom and sides of the feet and can even creep up your legs. In older athletes, or vets who suffered trench foot in the war, the condition is often Chronic. This appears as dry scaly feet, sometimes white and scaling. Often the chronic athletes foot is mistaken as dry feet and can cause very painful cracked heels. Q: What exactly is athlete’s foot? A: For starters, it’s one of the most common fungal infections of the foot. It’s highly infections, meaning you can both catch it and spread it to others. The fungus responsible for causing this infection does well in warm, moist environments. Examples include locker rooms, showers, and inside sweaty athletic shoes. The medical name for athlete’s foot is tinea pedis. Symptoms of infection include dry, cracked, irritated skin, especially between the toes. Redness is visible in most cases. About 20% of people will have at least one case of athlete’s foot in their lives. Foot fungus is relatively easy to cure with our Athlete’s Foot Treatments. 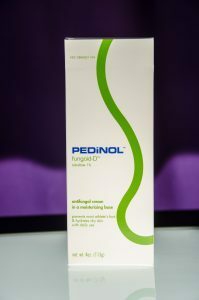 Topical antifungal medicine such as powders and creams readily cure athletes foot. Although it’s popularly known as athlete’s foot, plenty of non-athletes become infected as well. Many people with athletes foot also get fungus toenails. As mentioned, athletes foot is usually managed with over the counter antifungal preparations. If these aren’t sufficient however, Lamisil is effective in almost 100% of tinea pedis cases. Q: After I finish my treatment is it possible to get infected again? A. It’s possible, but you can lower your chances by practicing good foot hygiene (see below). Lamisil also provides a window of protection for up to 3 months after you’ve finished treatment. Q: How common is athlete’s foot? A: Athletes foot, or tinea pedis, is extremely common. 20% of Americans will be affected at some point during their lives. Repeat infections are possible and can occur frequently in some people. Q: How easy (or difficult) is it to become infected? If I come into contact with the fungus will I get athlete’s foot 100% of the time? Exposure doesn’t necessarily mean infection will occur. If you believe you’ve been exposed, however, you should practice good foot hygiene if you aren’t already doing so. It’s often a good idea to start using over the counter fungicide powder or cream as a preventative measure. Q: Is proper hygiene the best way to prevent athlete’s foot? · Both wash and dry each foot thoroughly, especially between the toes. · Don’t wear the same shoes on a daily basis for an extended period of time. This allows your shoes to dry completely. · If you naturally sweat a lot or are very active it’s a good idea to change socks at least once daily. · Use a powder, cream, or spray antifungal daily to prevent infection. · Never walk barefoot in locker rooms, showers, or around pools or hot tubs. Always wear sandals or surf shoes. Q. Will athlete’s foot go away on its own? ys important, but if you’ve already been infected it’s not a cure. Athlete’s Foot Treatments like topical antifungal medication, either over the counter or prescriptions like Lamisil, are usually required. Q. Is there a best time to apply topical antifungal medication? 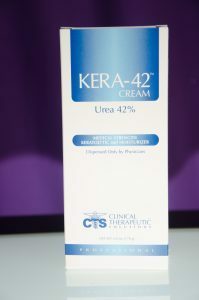 A. It’s best to use these athlete’s foot treatments medications both in the morning and at night before bed. Always make sure your feet are clean and dry before applying.